The professional exterior painting services of Real Painters in Sydenham will completely transform the appearance of your property and protect it from mould, corrosion, rust and other issues. 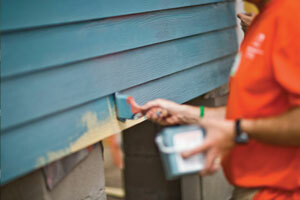 With our reliable painting methods and high quality products, we will efficiently enhance the look of your home. Rely on Real Painters to receive honest and professional service, and many more benefits, such as fully insured staff, top-of-the-range equipment, and high quality materials. Reach us for more information regarding the advantages of using our exterior painting services in Sydenham on 020 3026 9530. No matter whether you need to paint the exterior walls of your house, garden furniture, deck, drainpipes or any other area, Real Painters in Sydenham will be happy to do it for you with utmost care and meticulous attention to detail. Our professional painters will give your exterior surfaces a completely new look and add value to your property.